All training is conducted in Braintree, MA. Our classes are one on one. You will be the only person in the class. Training is conducted on weekdays, starting at 9:30 am, or 1:30 pm. Our training is, hands on with live fire. For a more detailed description of the class click here. 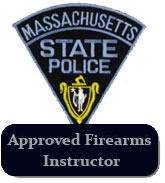 At the conclusion of the class, you will receive your Massachusetts State Police Firearms Safety Training certificate to apply for your License to Carry in MA. South Shore Gun Training is fully licensed and insured. 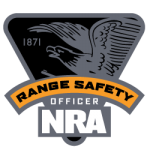 All safety equipment, class material, reactive targets, firearms and ammunition are provided. Classes must be booked a minimum of 24 hours in advance. The class runs approximately 4 hours and the fee is $200* Bring a friend, or family member and save $25 * per person. You and your guest will save and enjoy a private class together. Please note: two (2) students maximum per private class please. A $50 deposit is required to secure your date. To schedule a class, pick your class date & time from the calendar below. Fill in your information and click “Book Now”. You will be taken to Pay Pal’s secure payment system ***. If you have any questions before booking, please feel free to contact us. * If Registering more than one student, please list full legal name and DOB for your second student in the “Questions For Instructor” field. 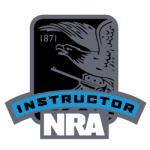 "We Are Fully Licensed & Insured"
© 2019 South Shore Gun Training Reproduction in part or in whole in any form or medium is strictly prohibited and punishable by law.